March 22, 2013 was an eventful day at Val Verde Regional Medical Center in Del Rio, Texas. That’s the day Leia Isabella Martinez was born. Her first name means “delicate daughter of the heavens”, and this poetic description fits her to a T.
Raquel and her husband, Beto, weren’t planning to start their family quite yet. “Leia wasn’t planned,” Raquel shares. “She was a honeymoon baby, but we were both very excited when we found out.” With a due date in April, Raquel worked her 60-hour a week restaurant management job until February, when occasional contractions prompted a full bed rest order from her doctor. Raquel’s last scheduled doctor’s appointment was in mid-March where she found out that she had developed gestational diabetes. The next night, Raquel was planning to spend at her grandma’s, but during the day she realized something was happening, Rachel says. “My parents came over and said my water broke. I didn’t think that was possible since it was so early.” At the hospital, however, her parents’ assessment was confirmed. Raquel was informed that Leia was nearly stillborn and currently in extremely critical condition. She required a ventilator and was having seizures. 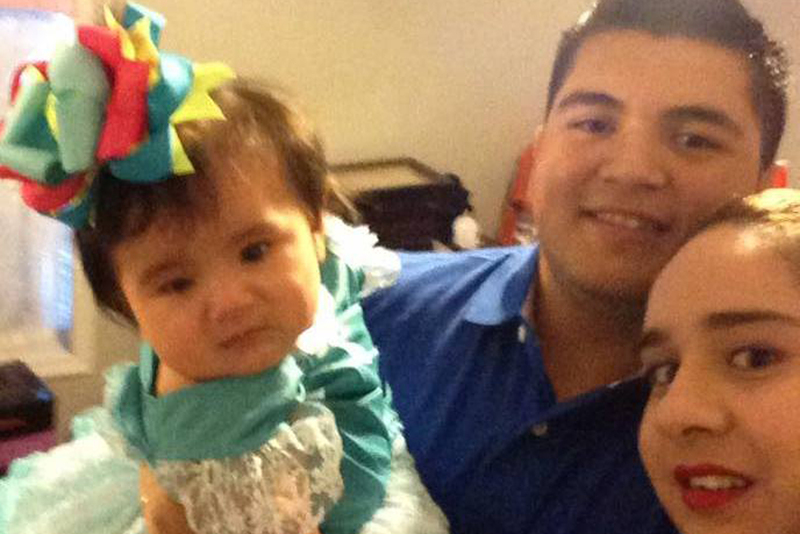 Doctors said that if she did survive, she might have seizures for the rest of her life. In addition, her left arm was broken, and she had a brachial plexus injury on her right side. Val Verde doesn’t have a NICU (neonatal intensive care unit), so Leia would be flown to Methodist Children’s Hospital in San Antonio, and she needed to get there as soon as possible. 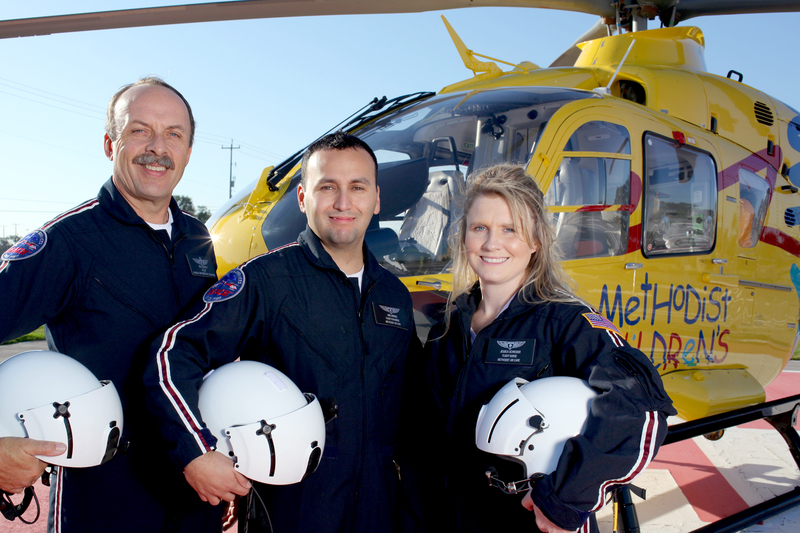 Leia's transport team from Methodist AirCare included Pilot Bill Soeth, left, and Flight Nurse Jessica Schroder, right, acting as Safety Officer. The Methodist AirCare specialty team, with Methodist AirCare providing the pilot and safety officer, and Methodist Healthcare providing the nurse and respiratory therapist, arrived quickly for the transport. The special medically-equipped helicopter was piloted by Bill Soeth, with Flight Nurse Jessica Schroder on board acting as Safety Officer. Completing the team were two of Methodist Children’s neonatal staff: Registered Nurse Mildred Moczygemba and Respiratory Therapist Ali Soujoudi. 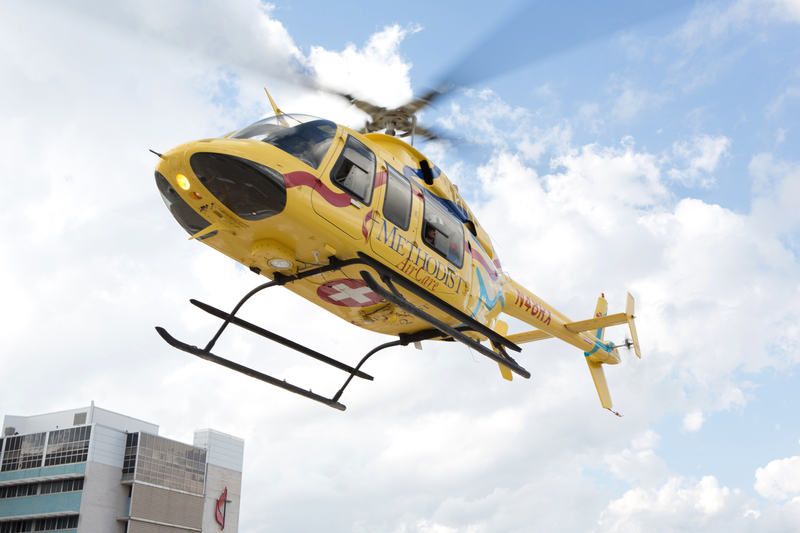 Leia was flown to the hospital on board Methodist AirCare's medically-equipped helicopter. Raquel and Beto were given a few minutes with their daughter prior to transport. Though it was a traumatic situation to have their newborn taken away so soon after birth, they were just grateful that she was alive and that she would soon receive the critical care she needed. They gave me the comforting words I needed. They gave me hope. Leia, the delicate daughter of the heavens enjoys, a peaceful nap. Thankfully, soon thereafter, Leia made huge progress: she no longer needed the ventilator. 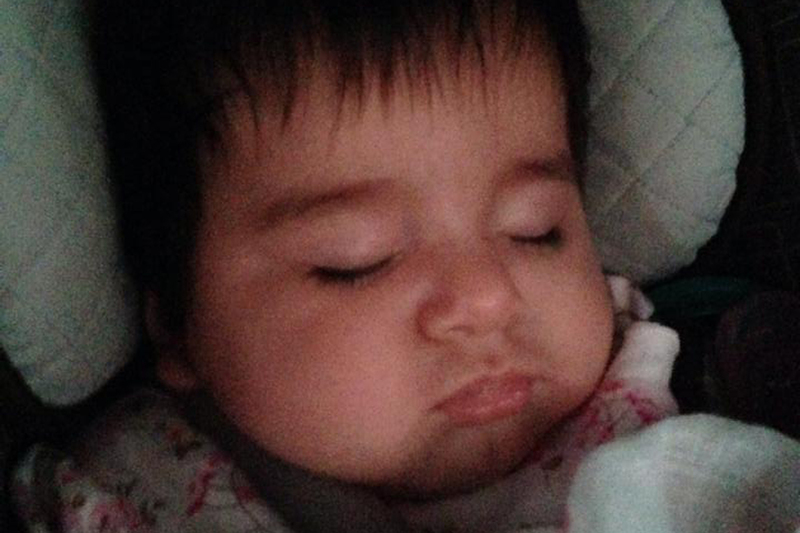 On April 6, two days before her original due date, Raquel and Beto’s delicate daughter of the heavens was sent home. The NICU staff prepared the new parents as best they could, giving them a bounty of information and recommendations. “They even made us learn how to perform CPR on an infant before they would release Leia,” Raquel says. Leia celebrates another day with loving dad, Beto, and grateful mom, Raquel.